US75 North, Central Expressway | Texas Shafts, Inc. 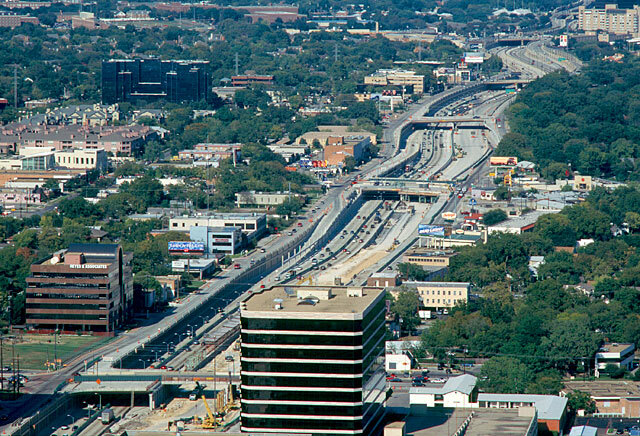 The reconstruction of US75 north was completed in November 1999. Total reconstruction cost was around $600 million. The new facility has a minimum of 8 continuous general-purpose lanes and is in a trench for six miles. 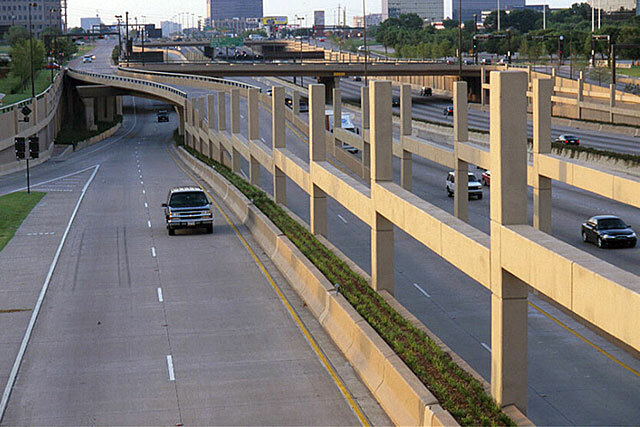 Its architecturally distinctive design distinguishes it as one of the nation’s most attractive urban freeways, but the real accomplishment was actually getting it built. Building a freeway in a trench on an extremely narrow right-of-way while keeping the existing freeway open was a challenging construction task. In some sections, the feeder roads are cantilevered over the main lanes because of the narrow right-of-way. The total lineal feet of drilled shafts installed was in excess of 123,000 linear feet. The new North Central Expressway facility has a minimum of 8 continuous general-purpose lanes and is in a trench for six miles. The total lineal feet of drilled shafts installed was in excess of 123,000.